1992-1994. Volunteered as a Community Health Worker under Community based Health Care and Primary Health Care. April 1995 to date a Tour Guide. 1998 headed the formation of the Mabira Forest Guides and Extension Association which delivers Ecotourism services to the Mabira Eco-Tourism Centre. 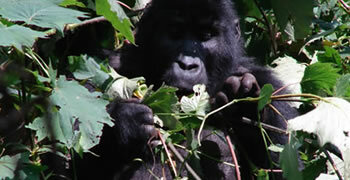 1997–2001 Conducted Conservation Education (CE) for schools around Uganda’s Forests. 1999 worked with Dr. Eric Sande of Makerere University- Zoology Department surveying on the Nahan’s francolin in Uganda’s forests – a globally threatened species. Aug 2000 worked with the Makerere University during the African Tropical Biodiversity surveys to establish the Biodiversity status for Mabira Forest. 2001 headed the formation of the Mabira Forest Integrated Community Organization (MAFICO) formed by the people living with in and around Mabira Forest for conservation and development. July 2003 worked with Dr. Richard Fuller of University of Sheffield and group to survey the decline of a globally threatened bird (Nahan’s Francolin) in Mabira Forest funded by the BP Conservation UK. 2004/2005: Trained by the National Hospitality College - Uganda in Tour. 2005 April to August Designed and developed forest trails for the newly constructed Rainforest Eco lodge located in Mabira Forest. 2006 data collection and community sensitization in the Forest Restoration in Eastern Africa, Indian Ocean and Madagascar (FOREAIM) project by Makerere University Faculty of Forestry and Nature Conservation in Mabira Forest - funded by EU. April 2006 – Researched on the effects of anthropogenic disturbances on Nahan’s francolin in Mabira forest Courtesy of Makerere University. Jan 2007 – Dec 2007 Training Forest Eco guides. 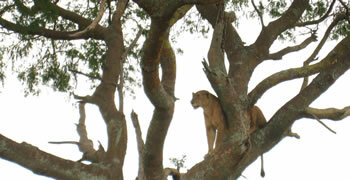 2006 - 2008 developing a new Ecotourism Centre near the Griffin Falls in Mabira Forest for MAFICO. 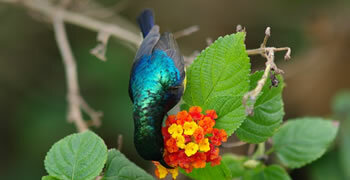 2008 Birds and Plants Inventories along the Nile River under the Adrift Adventure Company. Current Birds List Total to 700 species. 2004 Awarded with a certificate of excellence in Forest management for Conservation of Biodiversity and sustainable production Ministry of Water, Lands and Environment under the Forest Resources Management and Conservation Program 2003 / 2004 bonus scheme funded by the EU. 2005 awarded with a certificate by the Jane Good hall Institute for promoting and Inspiring Conservation education in Uganda. 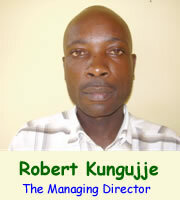 - Secretary for Mabira Forest Guides and Extension Association. - General Secretary for Mabira Forest Integrated Community Organization.